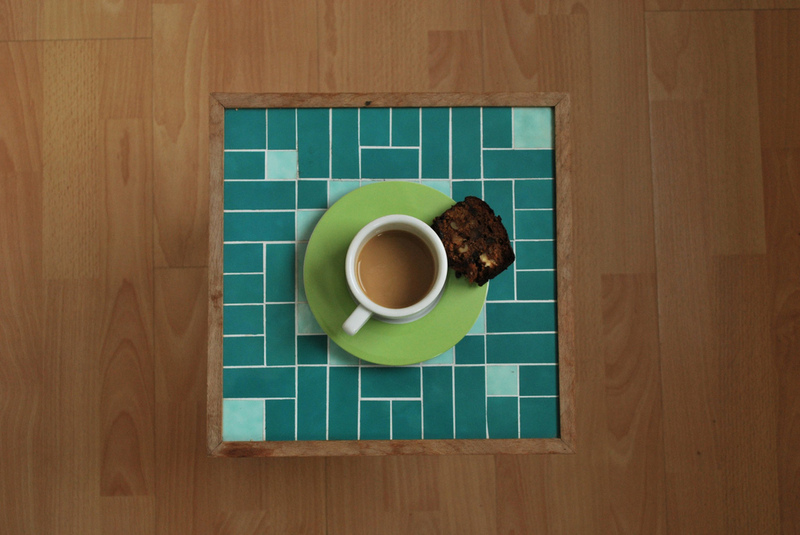 Four of my favourite things: coffee, fruitcake, and the colours green and brown. 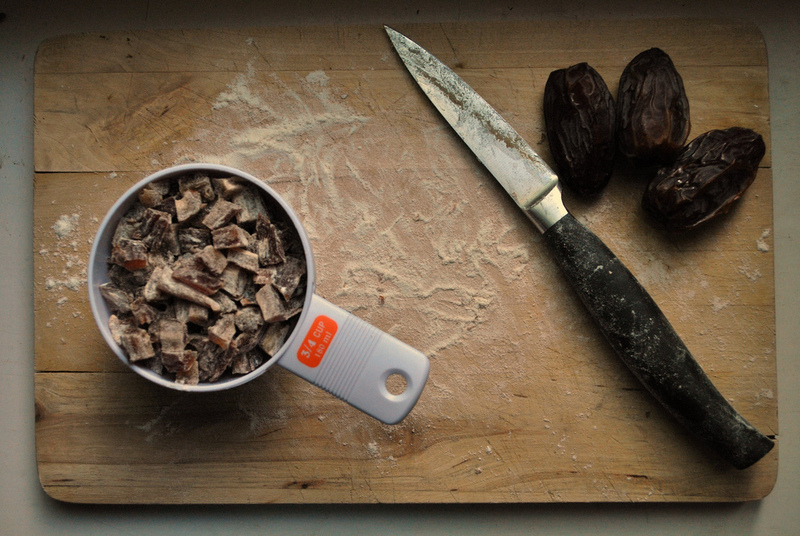 Chopping dried dates is a sticky, time consuming, delicate job. It requires a sharp knife, a special technique, and time. Pre-chopped dates are terrible — dry, woody, gross. 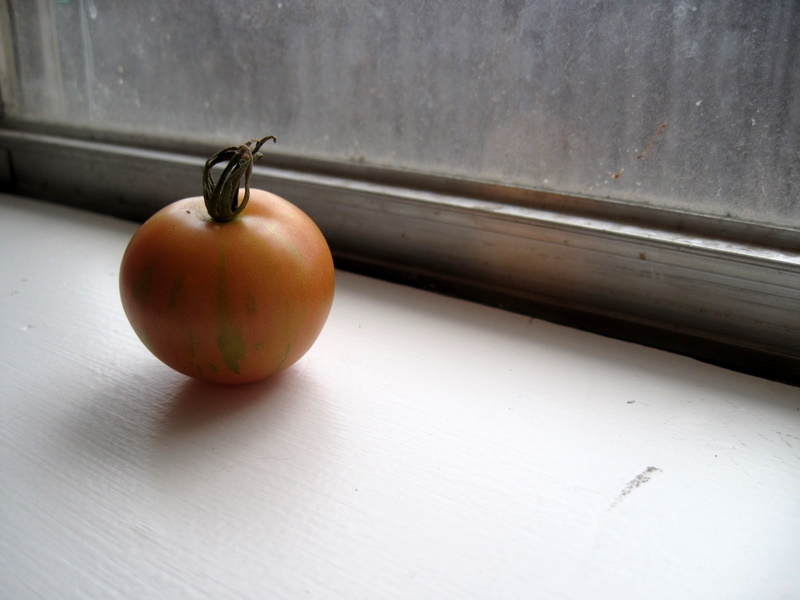 Convenience versions of foods which were once revered have made eating a sad affair. Do not participate in the perpetuation of the abomination of food and eating. Make a space, make the time, and do it right.